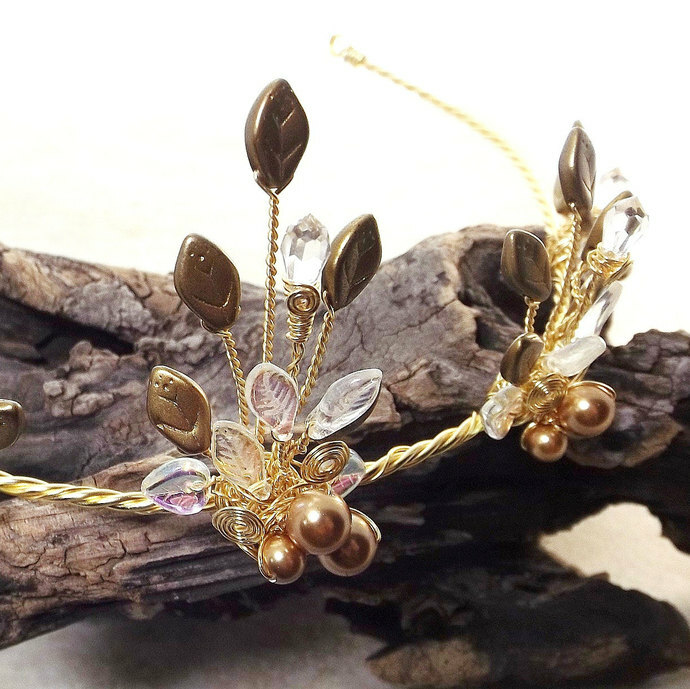 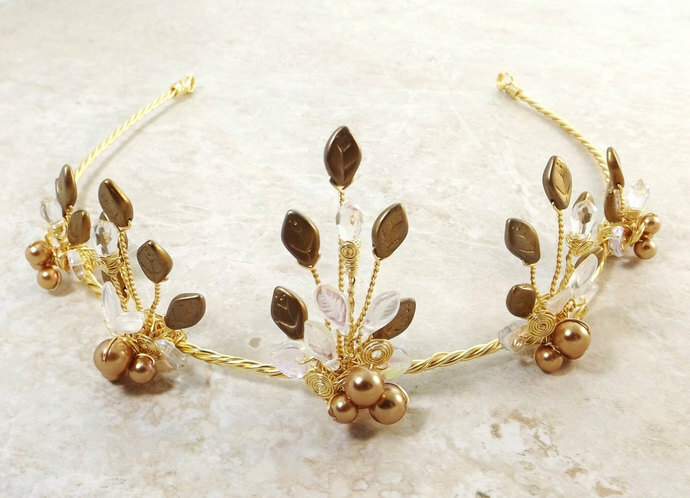 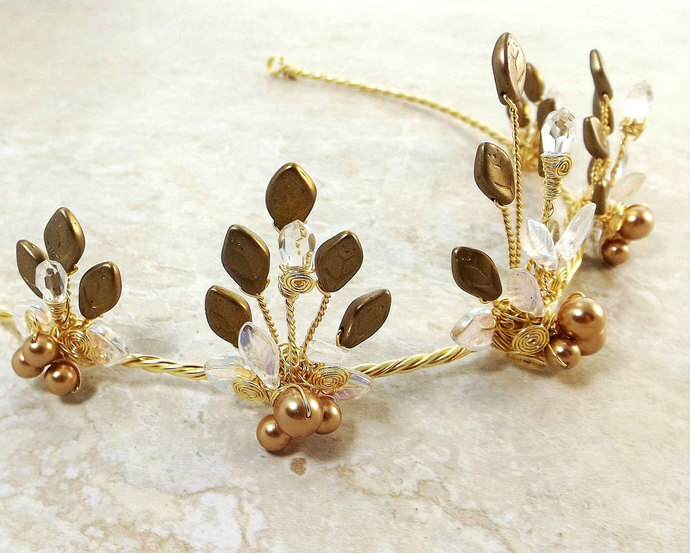 A gold midsummer crown for Titania. 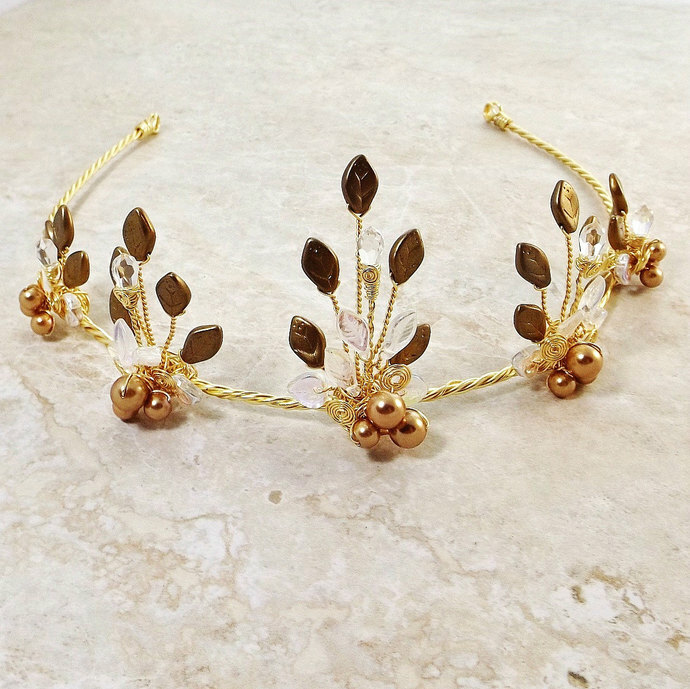 Gold wire combines with beautiful matte finish antique gold leaves and swarovski crystal teardrops like miniature scepters add to the charm. 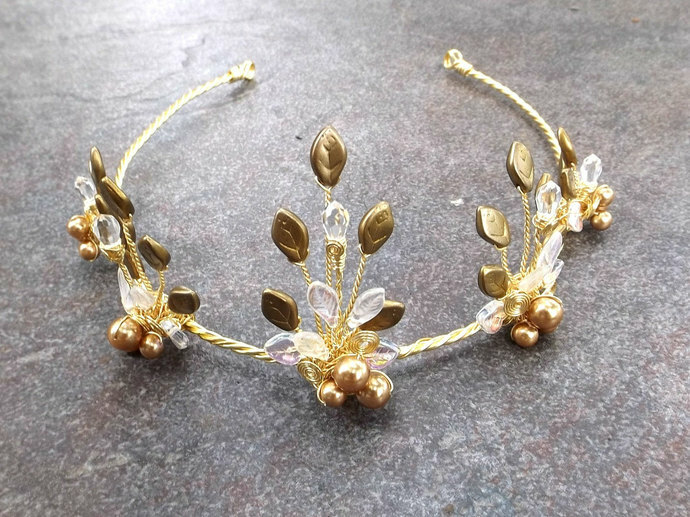 Also available with silver wire.